We all struggle with burdens that weigh down our lives. Some we're born with. Some are put on us by others, and some are self-inflicted. We have all cried out to the Lord for relief. God's Word has answers to the things that trouble us and helps to liberate us from the entanglements and burdens that make our lives hard. These devotions will help you access, appreciate, and use the power and wisdom that God has placed in his Word. You may request additional copies for a one-time gift of $2.00 per copy. 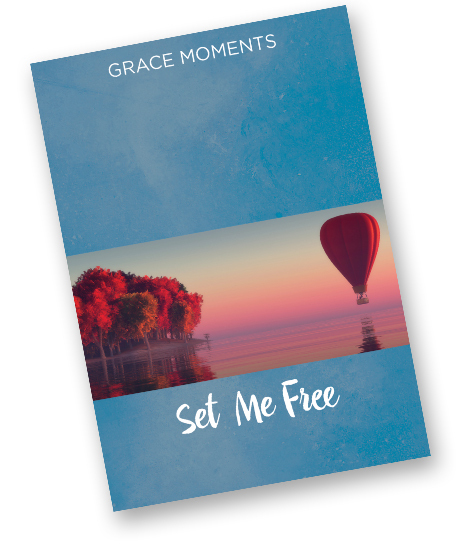 Successfully added GRACE MOMENTS: Set Me Free to your cart.